Rosh Hashana begins today at sunset, Elul 29. It represents the beginning of a New Year 5771, Tishrey 1st. For Jews, this is a time for self-examination of the previous-year's deeds and preparation of our souls for the year to come. The phrase "Rosh Hashana" (רֹאשׁ הַשָּׁנָה) is composed of two words: Rosh (רֹאשׁ), which means “head” and Shana (שָׁנָה), which means year. Hence, Rosh Hashana means the beginning, or the head of the year. Rosh Hashanah, is the first day of the Hebrew Lunar Calendar. 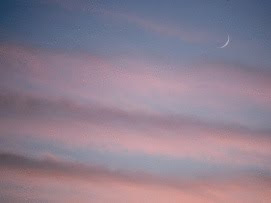 On the first day of each Hebrew month the earth shadows the moon and therefore this day, is moonless. The shadow of the earth moves during the month and reveals a full moon in the middle of the month. As the moon is “covered” on the first day of Tishrey (תִּשְׁרֵי, the first Hebrew Month), this day is called “יוֹם הַכֶּסֶה”(Yom hakese), meaning “the day of the covered (moon)”. It is believed that on the day of Rosh Hashana, the faith of the people is determined for the year to come. From that day until the 10th of Tishrey (Yom Kipur), people can still change the verdict, by praying, asking for forgiveness and asking for the absolution of vows (הַתָּרַת נְדָרִים, hatarat nedarim). On Yom Kipur, The Book of Life is signed and sealed. • בֵּין כֶּסֶה לֶעָשׂוֹר (beyn kese le’asor) – referring to the days between the time that the moon is covered (כֶּסֶה , the first day of Tishrey), until the 10th (עָשׂוֹר) day of the month (Yom Kipur). • הַיָּמִים הַנּוֹרָאִים (hayamim hanora’im) - translated as the "Days of Awe" or the "Days of Fear", in which life and death of all people are determined by providence. • עֲשֶׂרֶת יְמֵי תְּשׁוּבָה (aseret yemey tshuva) - referring to the repentance component of these ten days. Tshuva (תְּשׁוּבָה) is derived from the Hebrew root ש.ו.ב (come back, return) and refers to returning to G-d.
Shana Tova “umetuka”, Good and Sweet Year! Many warm greetings to you from Ethiopia!!!! How are you doing these days! I love ... LOVE the blog! Thank you so much for sending them to me. Did you know that we will be starting our new year (Ethiopian) on Saturday (9/11)?! I tell you, there is something inherent between Ethiopians and Jews! I'm glad and proud to be both! Happy new years to you my dear couz!!!!!! Happy New Year to you Linda. May the new year be blessed with many opportunities.